For many kids, they might see Florida as the bottom right corner of America, or more likely as the place they went to that fun theme park. Even kids living in Florida might know as much, along with maybe who Ponce Deleon is or how to spell “Okeechobee”. No matter where they’re from, any child can learn a lot on an Everglades airboat tour and have a blast at the same time! The Everglades is home to an animal descended from the mighty dinosaurs, the American alligator. They’re so abundant here that you and your child may lose count of how many you spot on an Everglades airboat tour. Though far from cuddly, they’re mostly calm and docile creatures, but are still wild animals and should be regarded as such. 350 Species of birds live here, too! Gators aren’t the only Everglades wildlife you’ll see during your visit. There are over 300 bird species here, the most interesting being wading birds and birds of prey, and you’ll hear and see many of them. 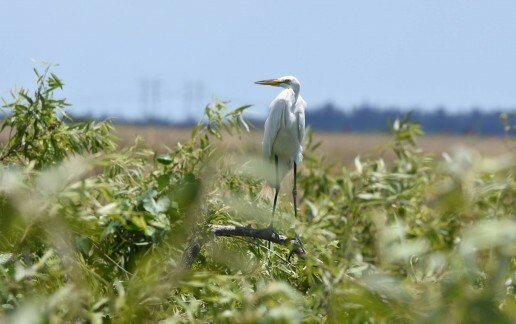 Most wading birds like the Great Egret and Great Blue Heron stalk the shallow marshes for fish, quickly using their pointed beaks and long necks to catch them. In areas with deeper water, anhingas can be see diving while swimming and emerging with fish. If you keep an eye on the tree tops, you’ll spot birds of prey like red-shouldered hawks, ospreys, and even peregrine falcons, if you don’t see them in flight. 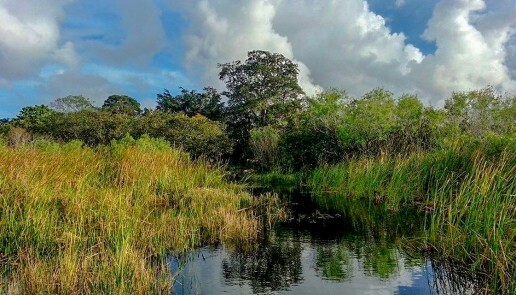 Along with the diverse wildlife, you child will see the unique habitats that make up the Everglades. An airboat eco tour can take you to hardwood hammock forests, alligator-filled sawgrass marshes, and islands of cypress trees. With knowledgeable, fifth-generation Gladesmen guiding you tour, you’ll learn about the ecology of this unique environment while enjoying the fast paced thrill of an airboat ride. Children are effortlessly prone to distraction. Getting and keeping the attention of a child is an act most parents would call a superpower. Kids can’t help but have a sharp sense of novelty and adventure because everything is new to them! But, do you remember the first time you saw the ocean, or even a full moon rise? It’s moments like these that make memories for a child that last a lifetime. 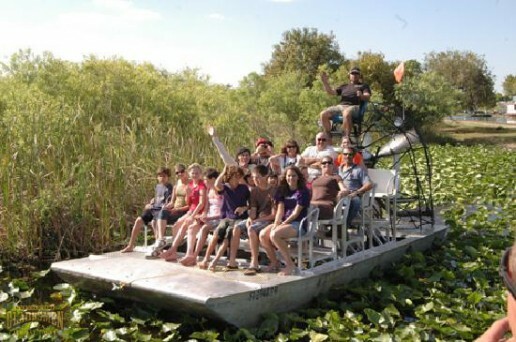 The fun and excitement of introducing them to the Florida Everglades on an airboat ride could be one of those moments. 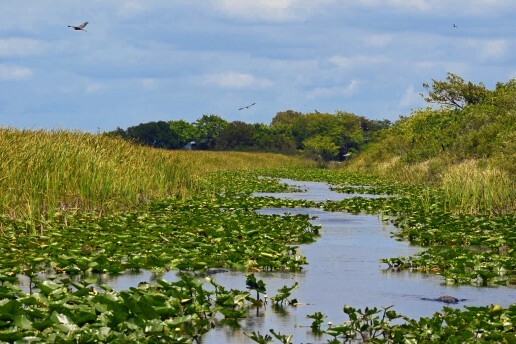 Having so many different types of habitats, much of them covered by water, taking an airboat tour would definitely be the best way to experience the Everglades. The question is which is the better option for you, public or private airboat tours? The Florida Everglades is a magnificent place that offers a chance to explore that can’t be found near the beaches of Fort Lauderdale and Miami. Being the largest subtropical ecosystem in the United States, it’s home to a great variety of native plants and wildlife. There may be zoos near the city where people can see exotic animals, but it’s far more exciting to view them in their natural habitat. Public airboat tours are an affordable way to see the Everglades, because they usually include other activities with the admission price, like nature shows featuring Florida wildlife and, alligator wrestling. While offering a bigger bang for your buck, you may feel that you’ve traded a quality experience for quantity. Public airboat tours tend to run short, being only 30-45 minutes on average. Also, many public airboat tours are given on larger airboats which can’t move quickly, further limiting how far they can travel inside of an hour. Another drawback from these higher-capacity boats is the overhead covering and lack of elevated seating can make it harder to see or photograph the wildlife or scenery. Taking a private airboat tour is going to cost more money, but you’ll also receive more personal attention from your guide. 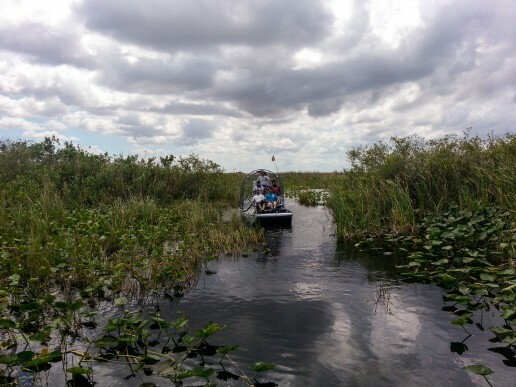 Unlike the public rides, private tours typically last an hour or longer, and offer a better chance to learn plenty of valuable information about the Everglades from your tour guide. And rather than seeing only a handful of Florida wildlife in a nature show, you’ll get to observe more species of wading birds, reptiles, and more in their natural environment. The longer duration of private tours will let you explore the many distinct habitats of the Everglades ecosystem. 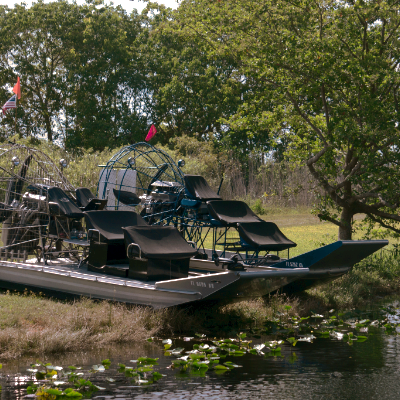 What kind of airboat tour would you choose? When visiting South Florida, there is plenty of adventure to be found west of the beach. All of the glow and noise of the coast is easily rivaled by venturing into the unique wilderness of the Everglades. If you’re looking to visit a one of a kind place, why settle for a “one size fits all” experience? 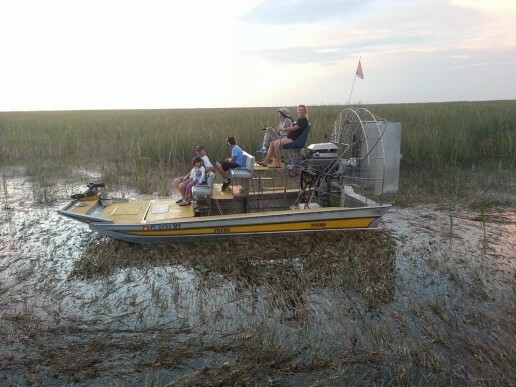 At Mack’s Fish Camp, we specialize in private airboat tours lasting from 1 to over 3 hours, with fifth-generation Florida Gladesmen as your guide. If you’re ready to trade the pre-packaged theme park experience for an authentic taste of Florida, come see us. It’s said that a mysterious creature dwells deep within the Florida Everglades, a large ape that walks upright and stands over seven feet tall. 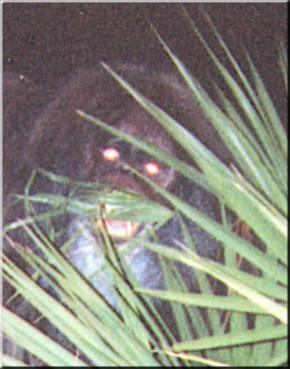 When sightings of it throughout Florida were at their peak in the 1960’s, it was dubbed the “Skunk Ape”. Why call it Skunk Ape and not just Florida Bigfoot? Well, nearly all reported encounters with it mention it smelling like anything from moldy garbage to rotten eggs, or even a skunk. While not as frequent as they were in the 1960’s and 1970’s, sightings of the Skunk Ape are reported in Florida every year, some outside of the Everglades. 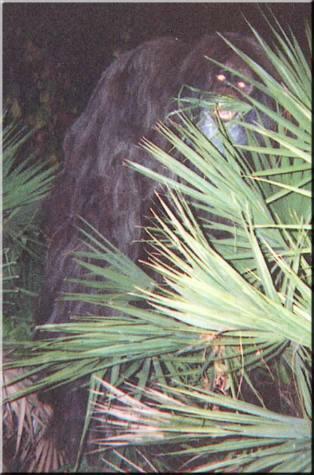 One of the most noteworthy encounters occurred in the fall of 2000, referred to as the “Myakka Skunk Ape”. The Sarasota Sheriff’s Department received two photographs depicting a large, upright ape along with an anonymous letter from the alleged photograph. In the letter, which was apparently written by an elderly woman, she snapped photos of the animal she believed had been taking apples she had left in her backyard. The encounter has been picked apart by debunkers and cryptid fans alike. But while the story and creature are scrutinized, the pictures have been confirmed as real and not doctored. Apart from being stinky, the Skunk Ape can definitely be described as elusive. Despite a steady flow of video footage from alleged encounters and molds made from footprints, the National Park Service denies the existence of the creature. They cite their many wildlife life trail cameras showing no such animal, or having never discovered any trace of bones in the Everglades. But some of the believers would be quick to tell you that with the Florida Everglades covering 1.5 million acres, and much of it rarely visited by humans, a reclusive animal could thrive there unnoticed without a trace. The Everglades is truly a vast place, full of Florida wildlife capable of deceiving the eyes of the casual visitor. When taking a private airboat tour, you might notice an alligator that you assumed was a floating log, or a diving anhinga that you thought was a water snake. The Skunk Ape isn’t just a campfire tale, but a symbol of the mystery of the Florida wilderness. Still, don’t hold your breath hoping to see it. But if you do, hold your nose. 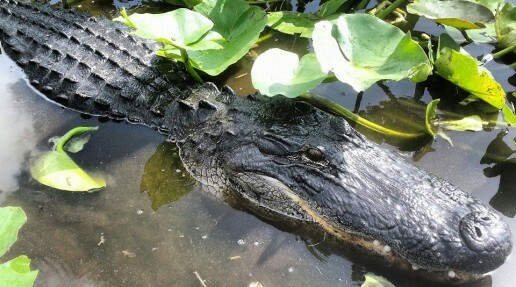 The American alligator, in addition to being the state reptile of Florida, is recognized as a symbol of the Everglades. 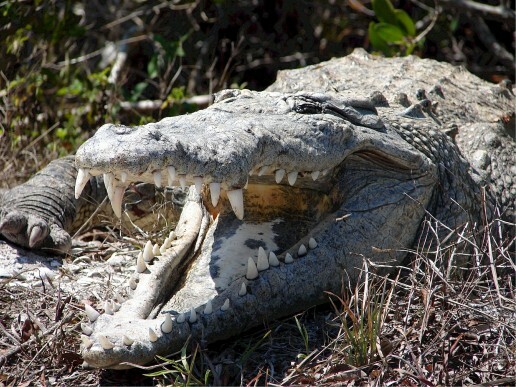 While on an airboat tour in Miami, you’ll likely see so many alligators that you’d lose count! But even if you were keeping score, you might be counting some crocodiles by accident. The American alligator and the American Crocodile belong to a reptile group named crocodilians, which are the largest living reptiles in the world! The Florida Everglades is the only place on earth where both species coexist. It is the extreme southern range American alligator and the extreme northern range for crocodiles. At a glance it can be difficult to tell them apart, but there are distinct differences between the two if you take a closer look. 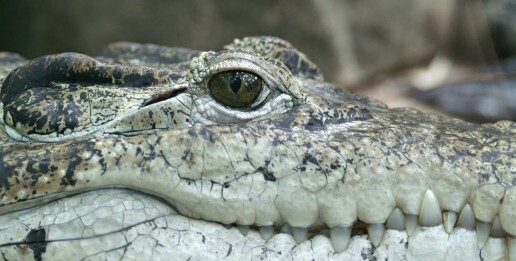 Crocodiles have pointy, longer snouts, while alligators have more rounded, shorter ones. You can still see all of a crocodile’s bottom teeth when its mouth is shut, but gators only show some of their upper teeth. Crocodiles are usually lighter in color, having grey to green backs and white to yellow undersides; alligators are a darker grey or black. Alligators and crocodiles both have spots by their mouths called “dermal pressure receptors” that sense tiny pressure changes in water caused by movement, but crocodiles have them all over their bodies! Crocodiles have stronger salt glands than alligators do, which makes them more adaptive to saltwater and are often seen near saltwater areas of the Everglades like Florida Bay. 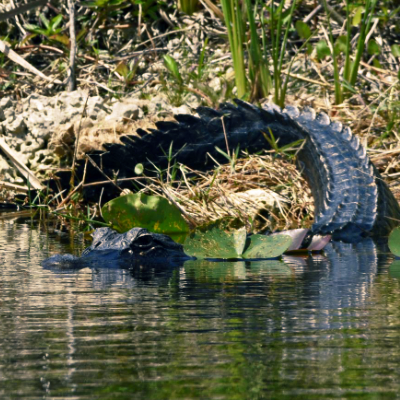 Alligators prefer freshwater habitats. Alligators have an average lifespan of between 30-50 years, but crocodiles live twice as long as them, with an average lifespan between 70-100 years. Crocodiles have adapted to be almost unseen when in the water. While on a private airboat tour, you may only catch sight of their nostrils and eyes poking above the water. American crocodiles are typically as calm and aloof as alligators, but are known to be aggressive and can attack anything in the water near them. These amazing creatures are a valued part of the Everglades. They might appear calm, but they’re still wild animals, and are most safely seen on a guided airboat tour. Being able to observe alligators, crocodiles, and the many different species of Everglades wildlife here at Mack’s Fish Camp on an airboat tour offers an experience like no other! People are often surprised to find out that the Florida Everglades is actually a very large, slow-moving river. Another common misconception about the Everglades is that it is just one, individual habitat: the Everglades. 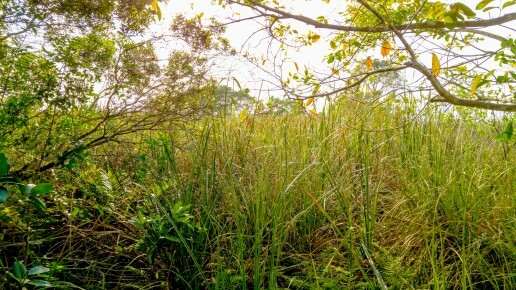 The famed “River of Grass” is actually a nickname for the sawgrass marsh, just one of several different habitats that exist here within the Glades. 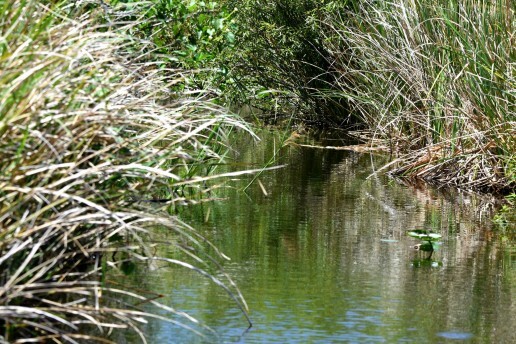 Here is the signature “river of grass” environment for which the Everglades is best known. It’s an area much more shallow than the slough and stays flooded for the better part of the year. It has low species diversity, with the dense areas of sawgrass favored by alligators for nesting. 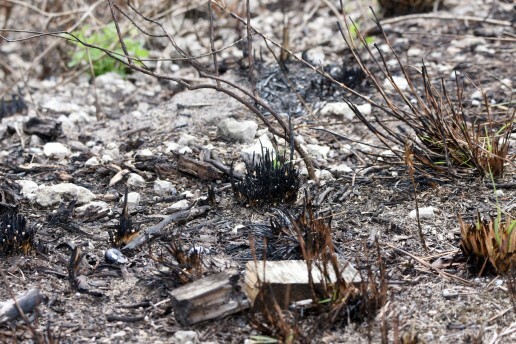 Unlike the hardwood hammock, it can bounce back from fire quickly because of its wet roots. Much deeper than the sawgrass marsh, this area is more river than grass and the main area of water flow of the Everglades. This low lying section of land channels a current that slowly moves at a whopping 100 feet (30 meters) every day! The slough (pronounced “SLOO”) section of the Everglades is made up of two main sections, The Shark River Slough located along in the center and south, and the Taylor Slough on the eastern side. The hardwood hammock is a dense area of trees and shrubs. 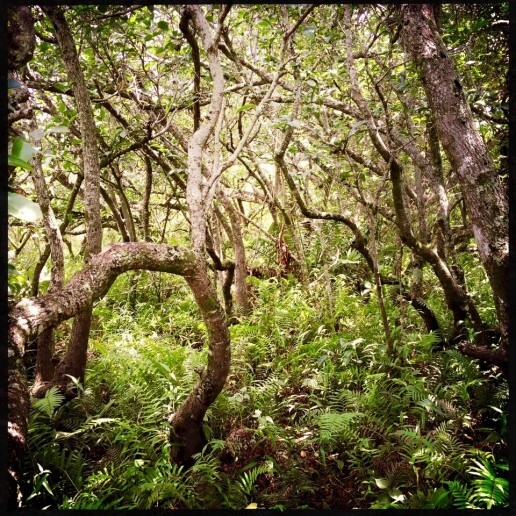 Tropical tree species like gumbo limbo and cocoplum grow beside more temperate species like hackberry, live oak, and even red maple. Because of its open understory and high humidity, the hammock region is fire-resistant, but strong drought conditions make them easy prey for fire damage. Also known as the pine rocklands, it is an area of forest that sits on exposed limestone substrate. It is found on higher ground like another dry habitat, the hardwood hammock. While named for its abundance of slash pine, much of the ground is covered by saw palmetto. Fire plays an important role for the pines here. Periodic fires burn away hardwood trees while sparing the well-adapted pines, letting more sunlight in to help pine seedlings grow. The Everglades is a unique place to visit, having a variety of facets to it that are unlike any in the world. Each one can be explored for hours on a canoe kayak, but aprivate airboat tour can take you on an exciting ride through many of them and also show you their individual beauty one-by-one! Being as unique as it, there’s little wonder why people from the world over visit the Florida Everglades. There are multiple habitats in the Everglades full of unique wildlife and vegetation that are an awesome sight to behold up close on a private airboat tour. Many people aren’t aware of how big of a role the Everglades play here and outside of South Florida. Here are some facts about this gem we call home! Considered by many people to be only a swamp, the Everglades is actually a shallow, slow-moving river! It measures approximately 100 miles long and 60 miles wide, and runs from Lake Okeechobee to Florida Bay at the southern tip of the Florida Peninsula. That slow flow of water comes from Lake Okeechobee and soaks into the limestone rock on its way south, and is then stored in underground caves called aquifers. The Everglades feeds the Biscayne Aquifer, which provides drinking water to over 7 million people! Alligators and crocodiles coexist here and nowhere else! These two often-mistaken cousins, the American alligator and the American crocodile, both inhabit the Everglades. While being here puts them at extreme ends of the range they’re found in, the southernmost for alligators and farthest north for crocodiles, they don’t keep close company. Alligators prefer the freshwater areas of the Everglades located more inland, while crocodiles tend stay more toward the coastal areas. During the Everglades dry season while the water is low, wading birds like the Great Blue Heron, roseatte spoonbill, and wood stork nest here in droves. The low water helps concentrate the fish and snails that these nesting birds feed on, helping them to feed their babies more easily. 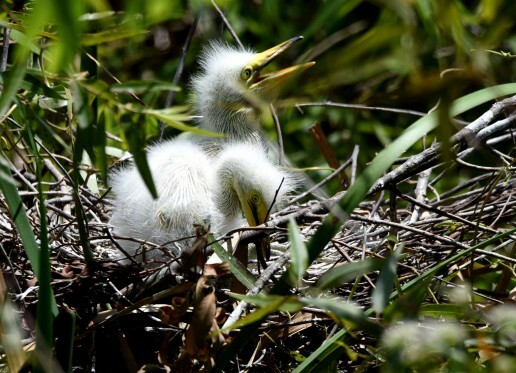 The dry season isn’t just for the birds, but helps bring new life into the Everglades itself. Sawgrass fires improve water flow through its river basin, and fires in the pinelands and hammock areas help burn away species of trees whose shade keeps the pines from growing. In optimal conditions, the fires are smothered by the rainfall at the start of the wet season in May. The Florida Everglades is a majestic place, both exciting and educational for families, photographers, and anyone with a love for the outdoors. If you’d like to know more or want to get out here and experience it firsthand, visit Mack’s Fish Camp in Miami and take aprivate airboat tour guided by fifth-generation Gladesmen. 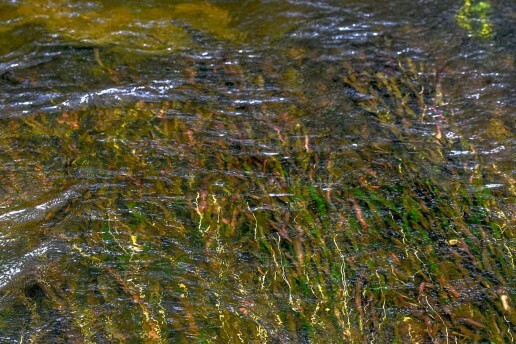 From the River of Grass to the Hardwood Hammock, a noticeable change is now happening in the Florida Everglades, the beginning of the “Wet Season”. From May through November, the Everglades experiences its hottest and most humid temperatures of the year, as well as the highest amount of rainfall. Both the temperatures and humidity percentage average around 90. The increased rainfall and humidity is partly caused by storms and moisture coming from the Tropics. 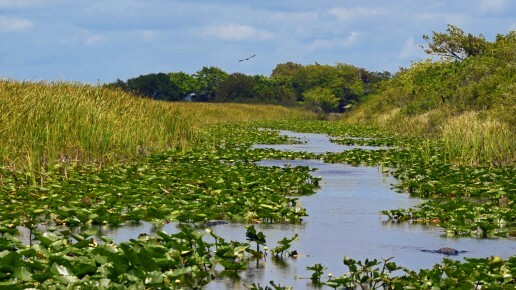 The Everglades wet season takes place at the same time as the Atlantic Hurricane season, when tropical storms and hurricanes are likely to form. Although these storms pose a threat if they were to make landfall, the National Hurricane Centeris very good at tracking them and helping people prepare. Thankfully, South Florida hasn’t seen a major hurricane in over a decade! 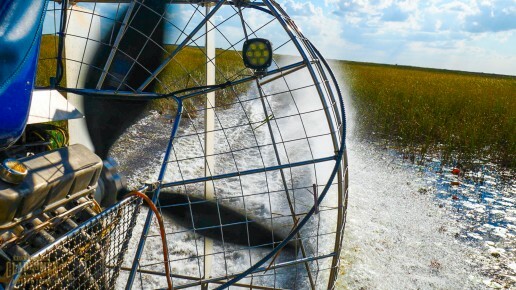 Despite the change in weather during the wet season, it’s actually a great time to take an Everglades airboat tour. Though more scattered now due to the abundance of water, wading birds that nested during the dry season are now raising their young and showing them how to hunt for fish. But, the biggest Florida wildlife star of the season is the American alligator. Through the summer months, alligators are the most active animal in the Florida Everglades. 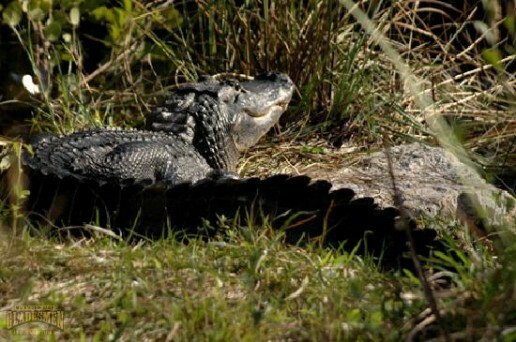 Their mating season stars around June, followed shortly by nesting and hatching, with the small roars of baby alligators filling the air by August. It’s during this time that they build their dwellings called “alligator holes”, which hold water collected during this time and help to serve as an oasis to other Everglades wildlife. Gators aren’t the only cold-blooded creatures that like to play in the rain. 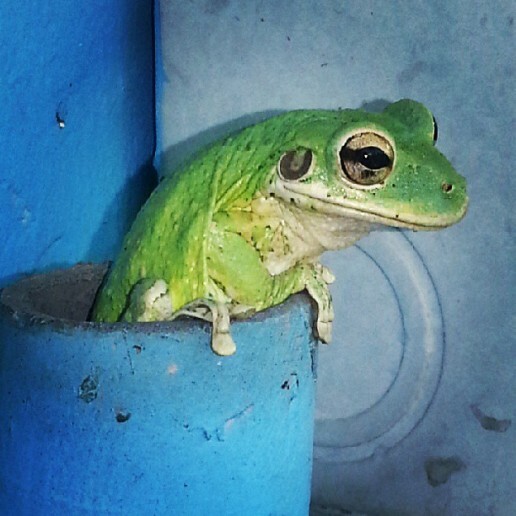 While you’re out on an Everglades airboat tour, you’re likely to see a lot of different species of amphibians like frogs and salamanders all along the airboat trails. The wet season brings an increase of insects to the Everglades, providing them with a feast to snack on. But the frogs can only eat so many of them, so we make sure to provide you with bug screen to keep their leftovers at bay! 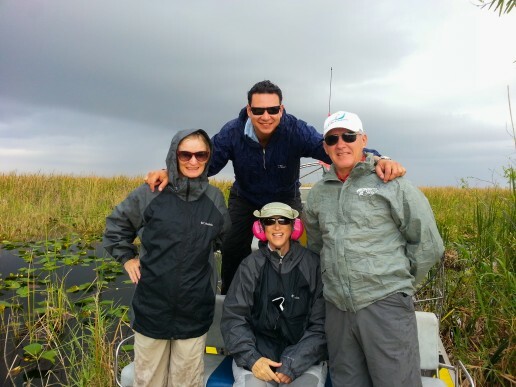 For what the Everglades lacks during the wet season in terms of concentration of wildlife, it makes up for in openness and privacy, making a private airboat tour a much more personal experience. And if you’re a Florida resident that’s been waiting for the snowbirds to clear out so that you can enjoy your own backyard, then your time has come! South Florida is praised for its many beaches, largely because of the glorious sunrises that happen there. Since another ocean isn’t that close by, people enjoying their vacation near Miami or Fort Lauderdale tend not to think much of sunsets. Little do they realize that there is a body of water in South Florida where the sunsets rival the sunrise over the sea, the Everglades’ own River of Grass. 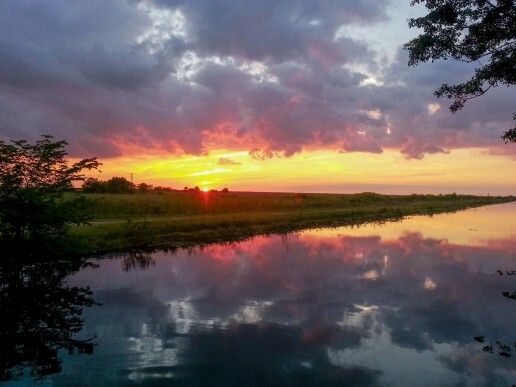 People often consider Florida Everglades sunsets to look like paintings, and like a real painting, sunsets are the result of combining different materials. Some people think having a lot of dust in the atmosphere enhances sunsets, but having clean air is the biggest factor in making epic sunsets. Clean air helps scatter violet light wavelengths more than other ones because they are closer to the same size as air molecules, more than red light. A good example of this at work is seeing a blue sky overhead through polarized sunglasses on a clear day: notice how much more bold the blue is? Sunlight takes longer to travel through the atmosphere at sunrise and sunset, and scatters more violet and blue light, showing more orange and red. In the Everglades, when you move further away from the coast, you definitely get more fresh air than in the city. Out here, far west of cities like Miami, Hollywood, and Fort Lauderdale we also get plenty of another important ingredient for making a beautiful sunset, clouds! The Everglades wet season, which runs from mid-May until November, brings a lot of them in the afternoon, and they help set the stage for many colorful evenings. With the air quality in the Florida Everglades being much better than it is in the city, clouds in the lower atmosphere can help add color to sunsets. But the most dazzling colors of an Everglades sunset show up after the sun passes through that layer of clouds. As the sun sinks past the lower atmosphere through the dust and haze, more sunlight reaches higher altitude clouds, producing vivid colors. Living in this unique corner of Florida, the Gladesmen Culture brings us face to face with a wide variety of Florida wildlife, traveling across miles of different habitats in airboats, and facing extremes of seasonal weather. But at the end of each day, we’re regularly treated to beautiful sunsets that serve as postcards of another day in paradise, a paradise that’s ours to share with you. What is an Airboat, Anyway? 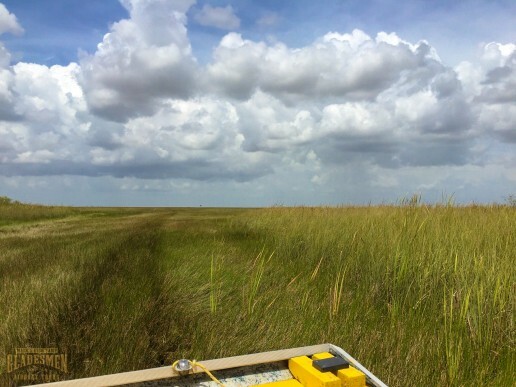 The airboat is known as a transportation standard of swamps and marshes the world over, including the Florida Everglades. It also provides a fast and exciting way to experience the River of Grass and other habitats of this unique region of South Florida. They are also called fanboats, blowboats, or “What kind of boat is that?” by the uninitiated. Simply put, they are flat-bottomed boats, also called jon boats, that are moved by a large propeller at the back of it. Before you go airboating in Miami, here is some background information for both the experts and the curious alike. The first airboat, dubbed “The Ugly Duckling”, was invented by Alexander Graham Bell in 1905 in Nova Scotia. In 1920, aviation pioneer and Florida native, Glenn Curtiss, helped build “The Scooter”, which had a closed cabin that could hold six passengers and had a large, uncovered propeller in the back of the craft. The flat-bottom version as we know it is largely credited to a homemade design built by Leo Young, Hortin Jensen, and Cecil Williams in the 1940’s. When word spread about their innovation, the design’s popularity made it the standard. They don’t have brakes. Some designed for rescue in colder climates have them to prevent slipping on ice. Operating one involves knowing when to slow down to bring it to a stop. The Florida Everglades is a large place, with an impressive variety of terrain and wildlife to see here. Offering both an exciting ride and a fun, educational experience for the whole family, airboating in Miami offers a glimpse into an overlooked, but unforgettable part of Florida. 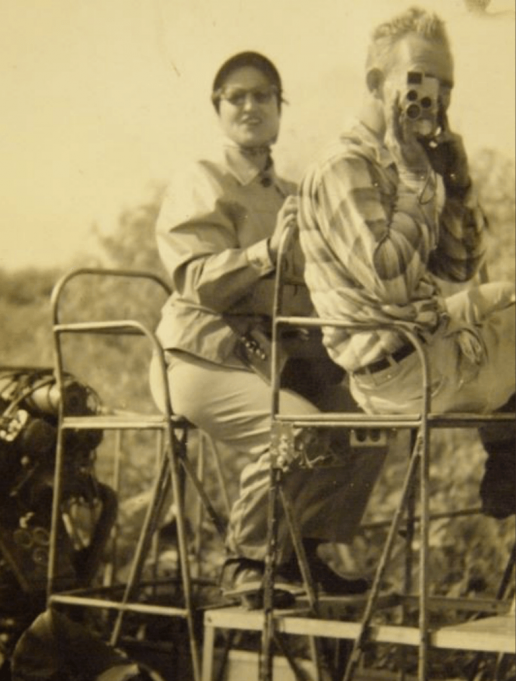 Navigating the Everglades by airboat is and has been a vital part of the Gladesmen Culture here at Mack’s Fish Camp for generations, one that we have the privilege of sharing with you.